These boxes run NEXTSTEP, which a full object-oriented OS. 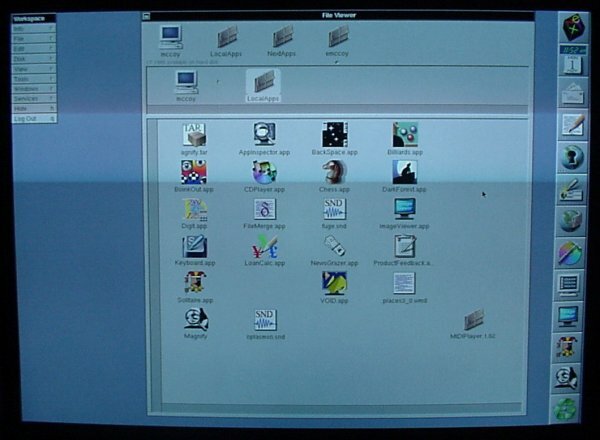 It has UNIX as a base and provides a gorgeous graphical interface. Sound like OS X? 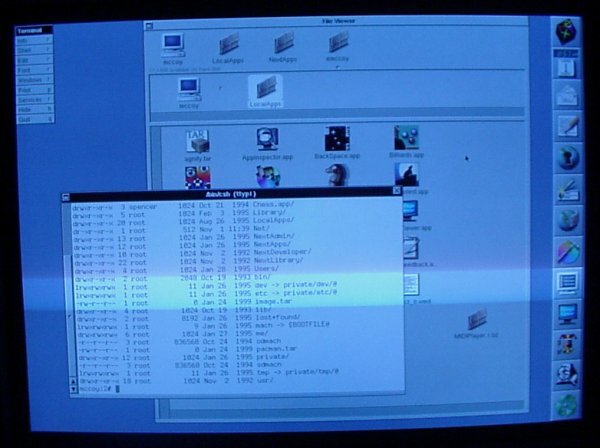 NEXTSTEP has the best looking folder icons in existence. They look like little leather portfolios, with little cords binding them shut. 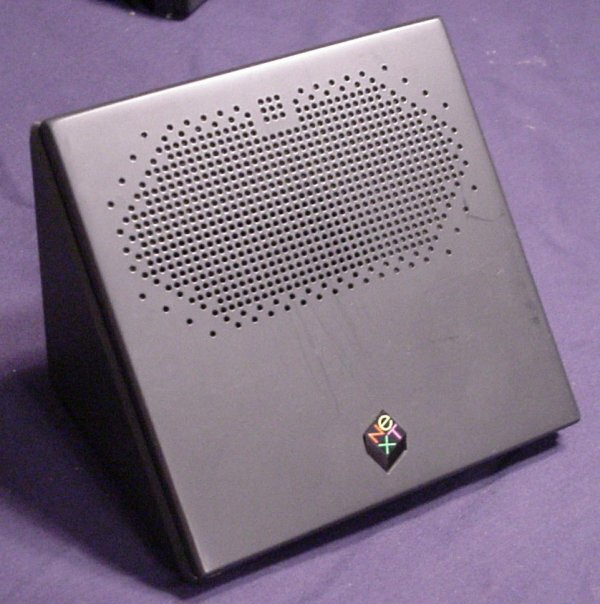 NEXTSTEP was also available for other platforms. 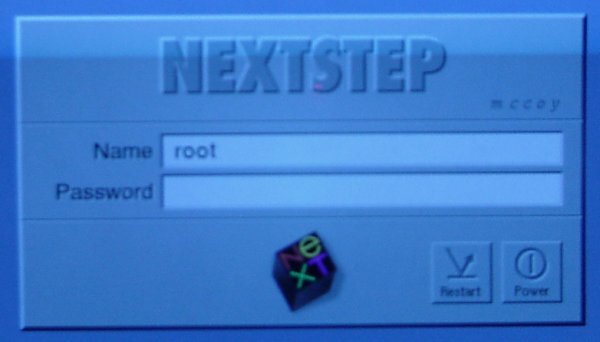 Others are working on NEXTSTEPish interfaces for Linux. Hardware-wise, these boxes were great, but frankly couldn't quite deliver everything asked of them by the OS. They tend to run a little slow. But they have great digital sound and full color displays. 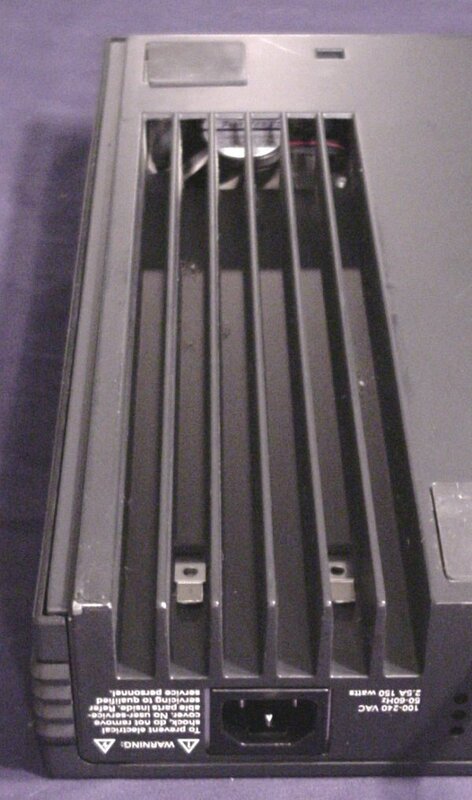 Underside of main unit. Just wanted you to see the label, and to establish the correct capitalization. Only the N, X, and T are capitalized. Floppy drive. 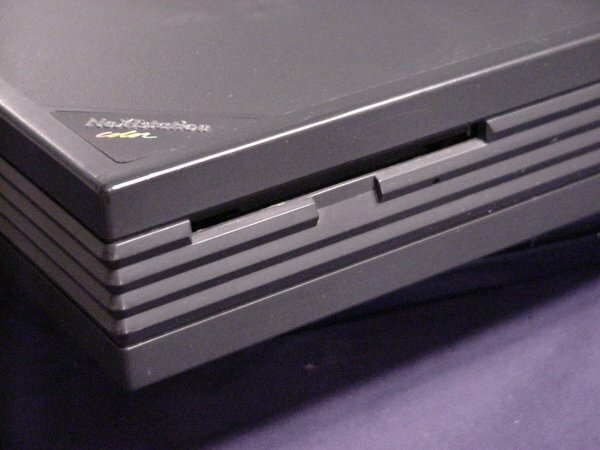 Yes, there is a floppy drive. It's not an iMac, after all. NeXT logo. It's kind of a goofy little logo, but Steve must have really liked it. It shows up on everything. 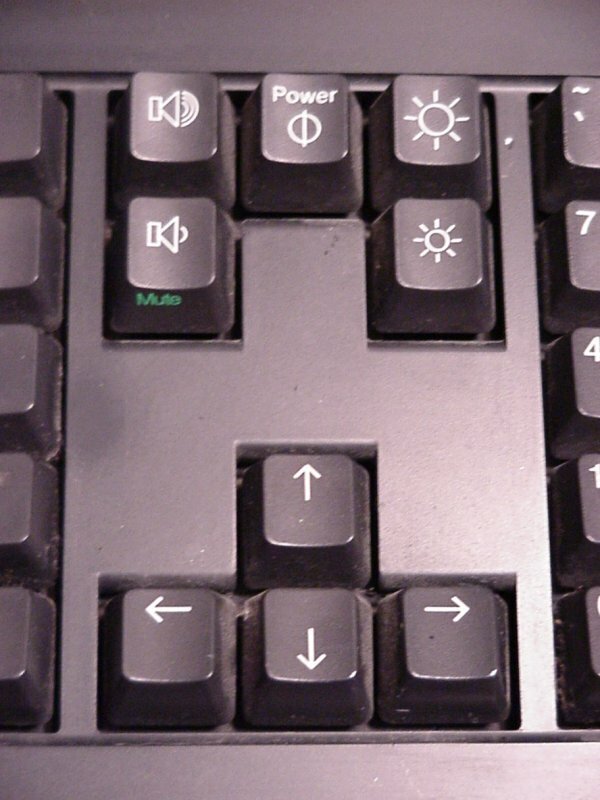 The keyboard has one. The mouse has one. Even the power cables have them! They're molded right in. At least that makes it easier to tell if the power cables are original equipment. 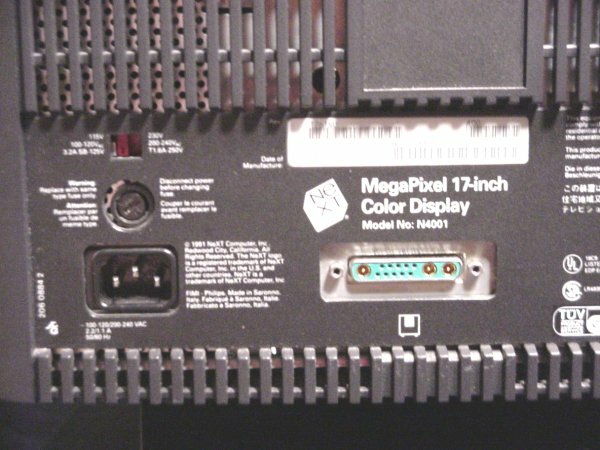 Rear of monitor. 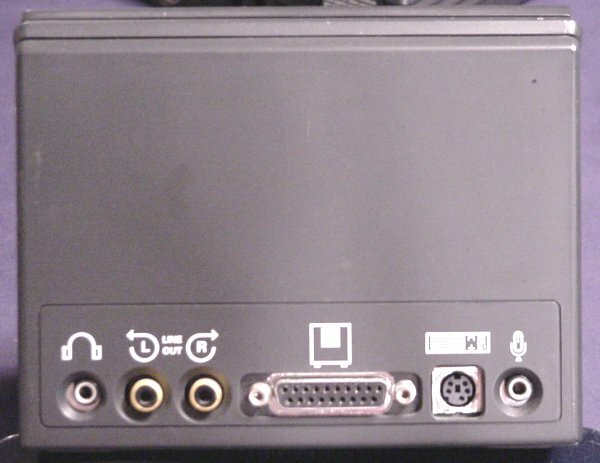 Here's the rear of the monitor. That goofy looking port is for a special NeXT cable. 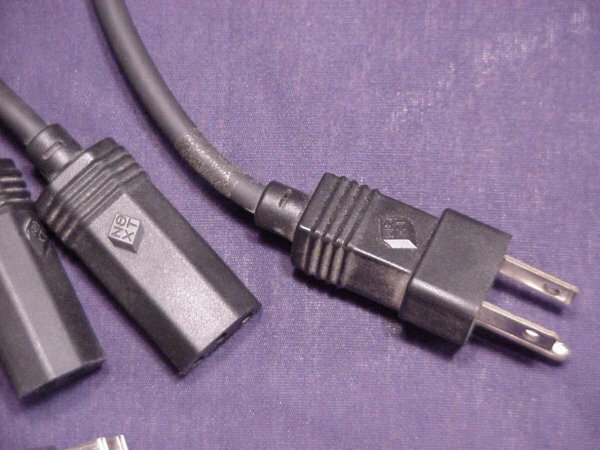 Monitor cable. 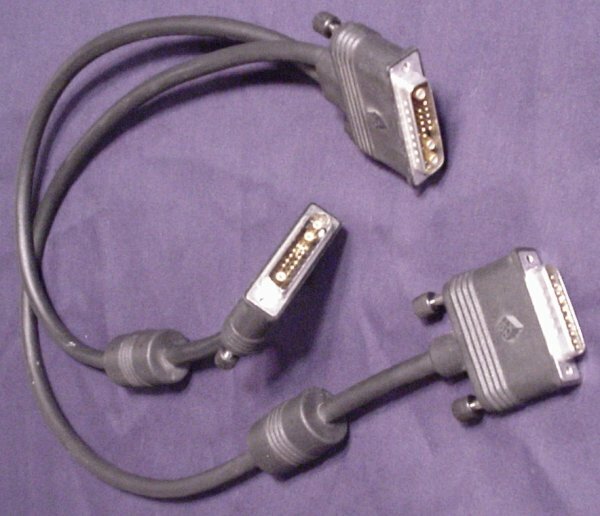 The monitor cable is a three-header beast. The weird ends plug into the system unit and the monitor. The third head plugs into the sound unit. Sound unit. The sound unit houses a speaker for audio playback. Login screen. Yes, you need to log in. Good thing the original owner told me the passwords. General screen shot. In the center is the File Viewer window. Think Finder or File Explorer. On the right is the Dock, holding frequently used programs. On the left is the current menu. Like the various Mac OSs, the menus are not attached to windows. 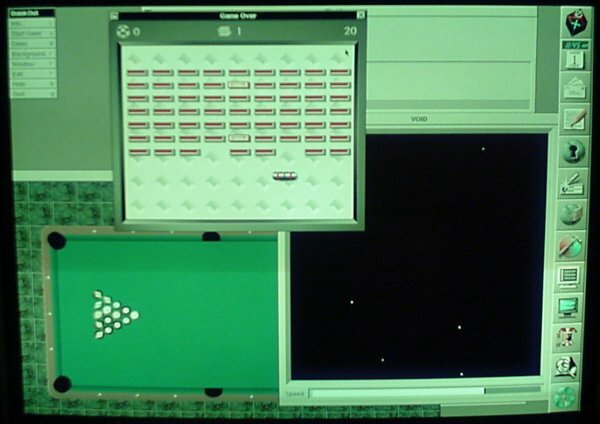 As you change from window to window, the menu in the upper left-hand corner will change to reflect the active window. Some people love this. Personally, I hate it. Icons. I love these icons. Does your Windows machine have icons this nice? Mine doesn't. Dock. 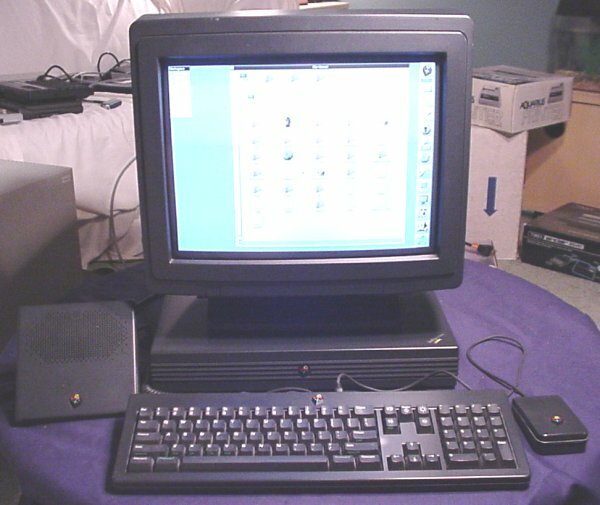 The dock was a toolbar for frequently accessed programs. Multiple windows open. Here's we've opened a bunch of different apps, just to show that we could. In all honesty, the system isn't responding crisply anymore. 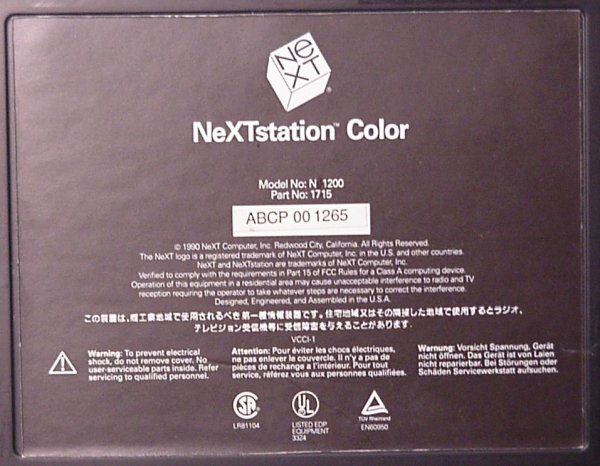 Click here to view all comments for the NeXT NeXTstation Color and to leave your own.